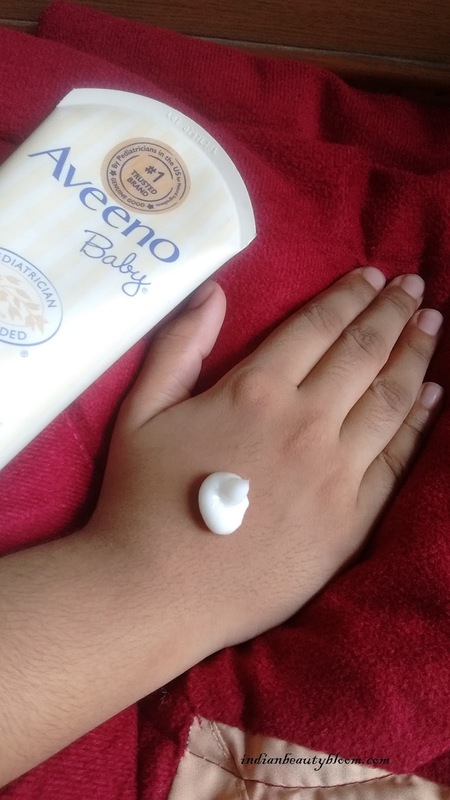 Today I am going to do a product review of a baby care brand Aveeno Which has recently launched itself in India . Aveeno is a US based brand , all its products are good and safe to use . They use high quality natural ingredients in their products . 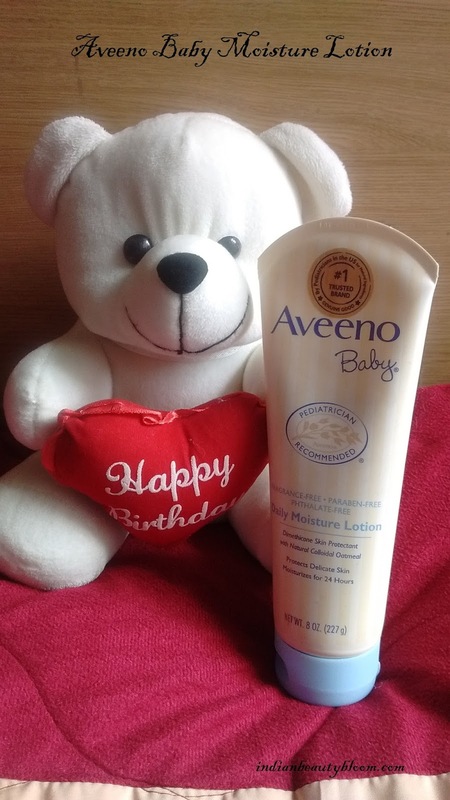 The first product from the brand which I have tried is it’s Aveeno Baby Daily Moisture Lotion . Aveeno Daily Moisture Lotion is a non greasy formula which moisturizes the skin and protects it . It contains natural colloidal oatmeal blended with rich emollients that soothes the skin and protects the skin . It gets absorbed in the skin quickly and keeps the skin moisturized and hydrated for a long period of time . It makes the baby’s skin soft and smooth . The product comes in a tube . 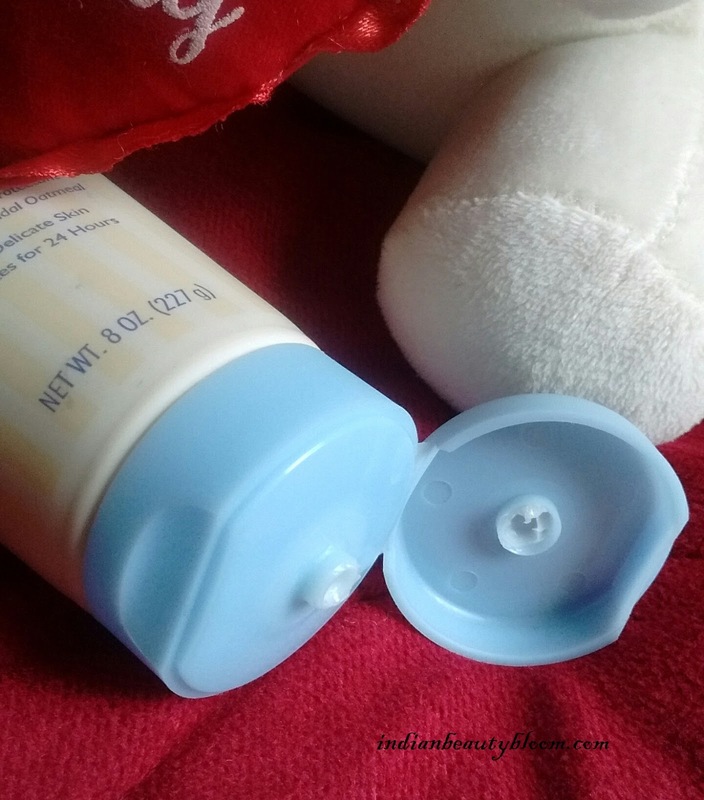 Product packaging is good and one can easily squeeze out little amount of lotion from the tube with out any wastage of product . I like such packaging as it’s hygienic and much better than tub packaging . The lotion is like a thick moisturizer , it’s white in color and is a non greasy formula . It has a mild fragrance or one can say no fragrance . It gets easily absorbed in skin and does not makes the skin feel or looks oily or greasy . 1. Free of harmful chemicals like Parabens , Pthalates , Steroids . 2. Free of artificial color and fragrance . 6. Contains Oatmeals which helps to maintain skin natural PH level and forms a protective barrier which prevents the skin from getting dry . 7. Makes the skin soft , smooth and supple . 8. Good for kids of all age group , even for new born babies . 9. Good product packaging . 10. Sufficient shelf life for longer usage . Bit Expensive but it’s okay since its an excellent product and good things comes with a price and one wants to use the Best for their baby . I am using this product past one week , before giving it to my kids , I tried it myself and found it good . It’s a good moisturizer , ideal for small kids and good for all skin type and for all seasons . And we always need a good moisturizer for kids post bath and for their night skin care routine , so one can use this baby lotion . One can buy this product and other Aveeno Products from online stores likes Amazon or First Cry . 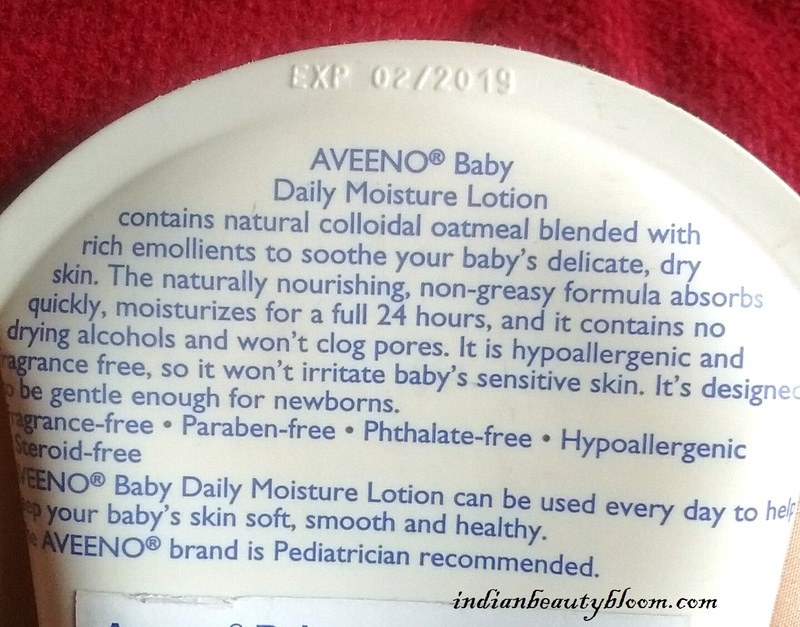 There is an exclusive coupon code for my readers to buy and try this Aveeno Baby Lotion from First Cry where as one can get extra RS 100 off on this Product and other Aveeno Products . Use code AVEENOBABYMJ at check out . Hope you all liked this post and found it useful , do share your views if you have tried this product .